Purdue University outsources ticket sales to Aspire - The Aspire Group, Inc.
ATLANTA – The Purdue University Athletics Department has reached an agreement with The Aspire Sport Marketing Group for ticket sales, consulting and research support. The nine-person staff will be responsible for new sales for football, men’s and women’s basketball, and volleyball, in addition to increasing philanthropic support for the John Purdue Club. To complement the efforts of the ticket sales staff, the award-winning Strategic Consulting & Research (SC&R) team will be executing numerous custom projects for the Boilermakers, including Aspire’s proprietary Yield Management workshop for ticket pricing & packaging and fan research. Aspire supports 37 collegiate properties and the National Football League’s Pro Bowl in ticket sales and service. 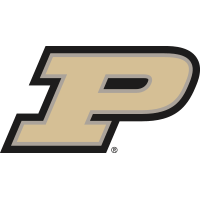 Purdue Athletics is a self-supporting auxiliary enterprise that receives no university or state funding and has an annual scholarship bill of more than $11 million annually. Purdue fields the following 18 intercollegiate athletic sports: baseball, men’s basketball, women’s basketball, men’s cross country, women’s cross country, football, men’s golf, women’s golf, women’s soccer, softball, men’s swimming & diving, women’s swimming & diving, men’s tennis, women’s tennis, men’s track & field, women’s track & field, women’s volleyball, and wrestling. The Boilermakers compete in the Big Ten Conference, the preeminent collection of institutions of higher education in the nation. Student-athletes maintained better than a 3.0 cumulative grade-point average for the 17th consecutive semester in the spring of 2017, and they continue to regularly perform equal to or better than the student body. The Aspire Group is a global sports and entertainment marketing firm specializing in driving revenues, attendance and fan engagement through industry-leading ticket marketing, sales & customer service. Aspire created the outsourced ticketing niche, revolutionizing Intercollegiate Athletics with the first Fan Relationship Management Center (FRMC) at Georgia Tech in 2009. Over 200 collegiate and professional sports properties have trusted Aspire to drive revenue, attendance and enterprise value growth through the combination of strategic consulting and research services, data insights and best-in-industry fan relationship management.